Maritime Safety Victoria (MSV) has developed a draft Code of Practice (the Code) to help managers of boating activity events (event managers) comply with a new legislated responsibility, or ‘safety duty’, introduced under section 25A of the Marine Safety Act 2010 (Vic). The new safety duty requires event managers to take reasonable steps to ensure the safety of everyone involved in an event, in any capacity, including bystanders. This Code will help MSV deliver outcomes toward its vision for safe boating and safe waterways for the benefit of all Victorians. MSV will soon be seeking feedback on the Code from key stakeholders, including waterway managers, and later event managers or organisers of boating activity events, through a consultation process. To receive updates on this consultation process, please leave your details in the Expressions of Interest section below. Following focus groups with key stakeholders, the draft Code is being updated so that important insights can be included. Public consultation is expected to be held in early 2019. What is the new legislative requirement? The new safety duty is set out in section 25A of the Marine Safety Act 2010 (Vic) and commenced operation on 30 June 2018. It requires event managers to ensure, so far as is reasonably practicable, the safety of participants in the event or people affected by the event (for example, spectators and bystanders). Ensure that rescue and first aid capabilities or services are available to participants in boating activity events. A Code of Practice is a document that provides practical guidance on how to meet the requirements of legislation. Implementing and adhering to the BAESP to run the event. Following a Code is not the only way to comply with the law, however if a person follows an approved Code, they are considered to have complied with the relevant parts of the legislation. The Code will be finalised once approved by the Minister for Ports. What is a boating activity event? A boating activity event is an event on state waters that directly or indirectly involves vessel operations. The new safety duty applies to persons who manage – organise, facilitate or control -- those events. It includes any managed event on Victorian waterways involving any vessel type, including powered (such as boats or jet skis), wind-powered (such as sailboats), or human-powered (such as kayaks or stand-up paddle boards) – including those where the vessel is not the main aspect of the event, such as fishing, diving or swimming. 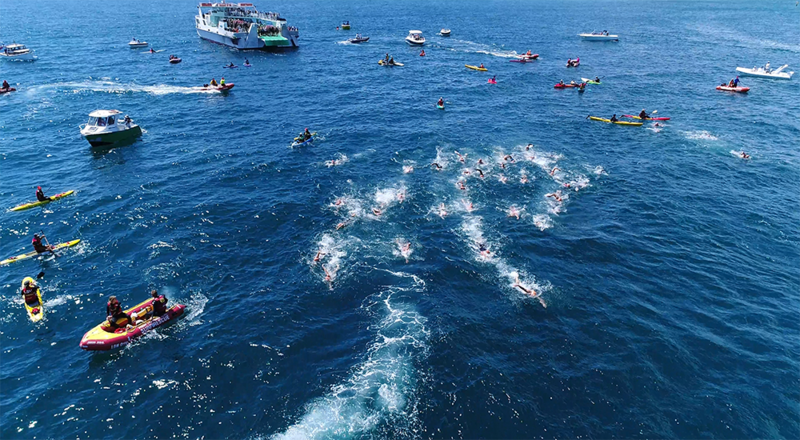 Open water swimming races that have support vessels. Pyrotechnic displays or informal gatherings of vessels, for example, a group of friends going boating together, are not included. The new safety duty applies to employers and self-employed persons (within the meaning of the Occupational Health and Safety Act 2004 (Vic)) who organise, facilitate or control a boating activity event. The ‘person’ managing the event could be an individual, corporation, government entity or volunteer organisation if they are an employer or self-employed person. It is important to note that employees or volunteers assisting event managers with the event are not taken to be managing the event themselves, and are not subject to the requirements of section 25A. In the coming weeks, MSV will be seeking feedback on how easy the Code is to comprehend. We will be consulting co-regulators, waterway managers, recreational and sporting associations, schools, and other communities. This will enable MSV to improve and finalise the Code and to provide further guidance as appropriate over time. There will be a six-week consultation period, with feedback considered, assessed and, where appropriate, incorporated into the Code prior MSV making a recommendation to the Minister to approve it, with an anticipated release in late 2018. If you would like to receive updates on the consultation process, or the release of the approved Code of Practice, please subscribe to updates from Maritime Safety Victoria.